When we think of making presentations we only think of PowerPoint presentations whereas there are numerous other software’s that provide more dynamic presentation tools than the PowerPoint. A powerful presentation lets your message to reach the target audience effectively. The presentation tools provide you wide range of options to enhance and customize your presentation to engage a prospective audience. Here is the list of more than seven wonderful presentation tools that will help you make an engaging and powerful presentation. 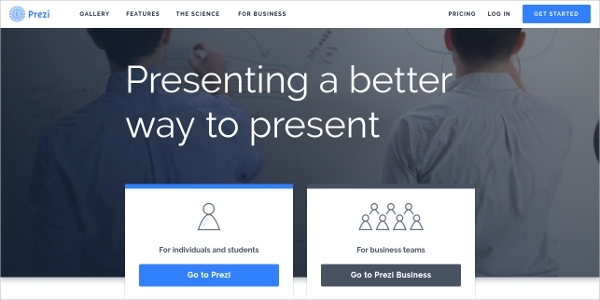 Prezi is a fantastic presentation tool having features to make a beautiful and engaging presentation. The core features of this software include customizable templates, option to import media file of any format, cloud storage option that lets you open your presentation in ay device, zooming options and much more to deliver your message effectively. Slide Rocket is a free presentation tool that helps you in making powerful and eye catchy presentations. The software allows you to import presentation which made by using PowerPoint or Google Docs and then improve them using presentation tools provided by slide rocket, it also lets you access presentation anywhere and on any device online as well as offline and you can also create a presentation online and share them with co-workers easily. Slide Dog is feature rich software that allows you to make an eye-catchy presentation to hold your audience. 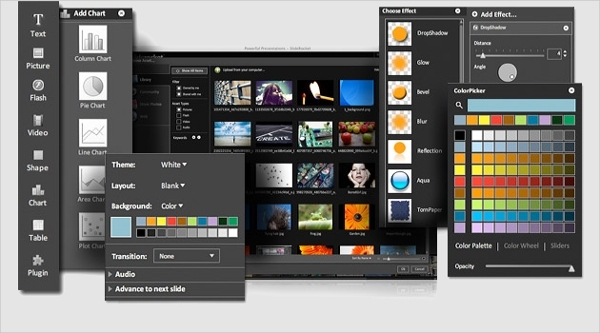 The exclusive features of this software allows you to combine PowerPoint presentations, movie clips, PDF files, Web Pages etc; to provide your viewers a seamless viewing experience, it also provides drag and drop option to create a playlist of files that you want to add into your presentation, arrange them and play it to your audience and many more interactive features to make an impactful presentation. Emaze is an amazing online presentation tool with features that will help you make a customized and impactful presentation on time. 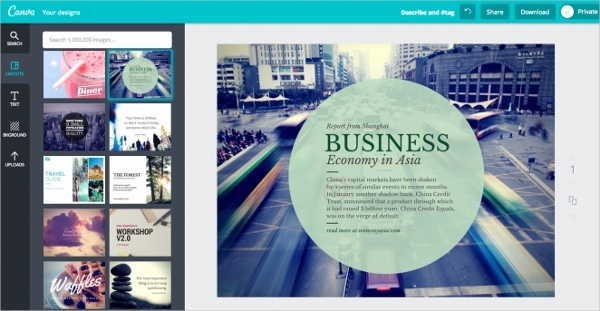 The software provides exclusive design templates for education and business purposes separately. It has eye-catchy presentation templates, multi-language support, multi-sharing option to play your presentation on any device anywhere and much more. This is cloud-based software that lets you access your presentation anywhere, anytime. Visme presentation tool is loaded with features that let you create amazing presentation easily and quickly. The software lets you create engaging content through the use of presentations, info graphics, web content, reports, wire frames and product presentation. All these features let you create rich and engaging interactive experiences easily. Haiku Deck is a modern and easy way to create beautiful and interactive presentations with just a few clicks. 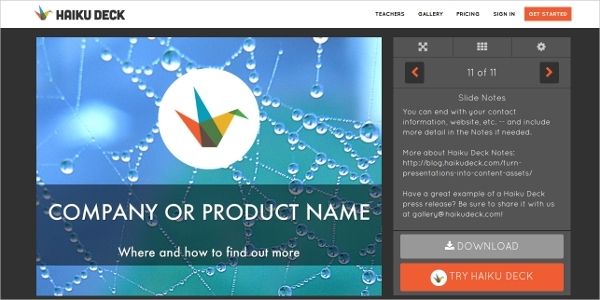 You can create this presentation on the web, iPhone or iPad. 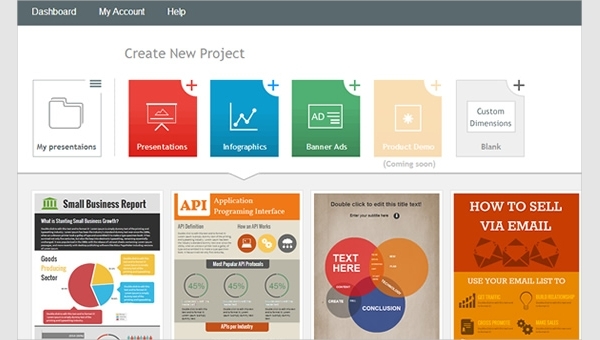 This software lets you create simple, clear and professional presentations. It provides you a wide range of templates to be used for educational, business or other purposes. This software will let you brand your presentation for work. 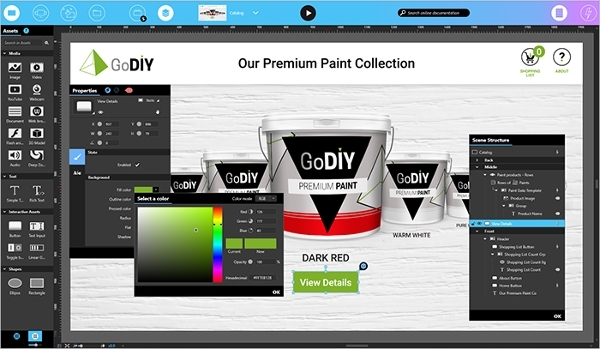 This presentation tool lets you create using a modern platform that is loaded with amazing features. It lets you create rich and engaging interactive experiences by giving you the option of using dynamic templates and samples or start from the scratch, target any screen size and take advantage of extensive content support for creating impactful presentations. These presentation tools provide numerous options to enhance your presentation and make it more engaging, eye-catching and understandable. These presentation tools are far more powerful and loaded with features than the PowerPoint which is mostly used for making a presentation. If you are bored by using same features to make a presentation available in PowerPoint that takes a high time then you switch to more dynamic and responsive presentation tools available online. 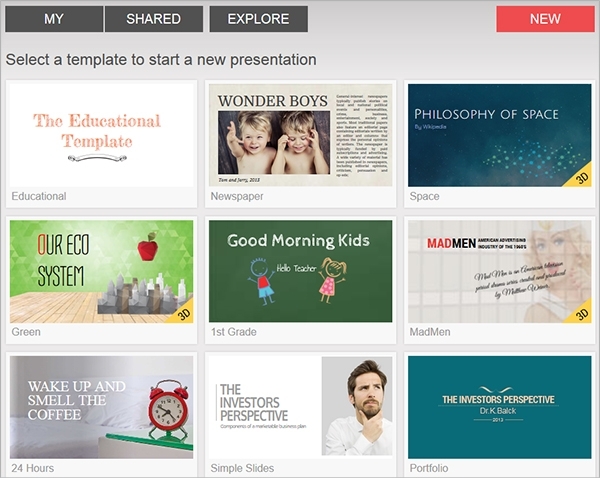 These presentation tools are loaded with features that let you make an engaging and powerful presentation in no time. These presentation tools provide numerous enhancing options like insertion of animations, audio clips, video clips, sound effects, attractive templates and much more.